The viral video in which an unspecified number of Nigerian soldiers were killed by Boko Haram insurgent has led to the release of an official statement by the Nigerian army. Days back, the video hit the social media raising concern about the condition of soldier in the battle against Boko Haram. In the past, soldiers have complained seriously about their obsolete weapons as Boko Haram killed 100 of their colleagues. However, releasing a statement, the Nigerian army has refuted claims that the video is actually the recent attack on 157 Task Force Battalion. 1. 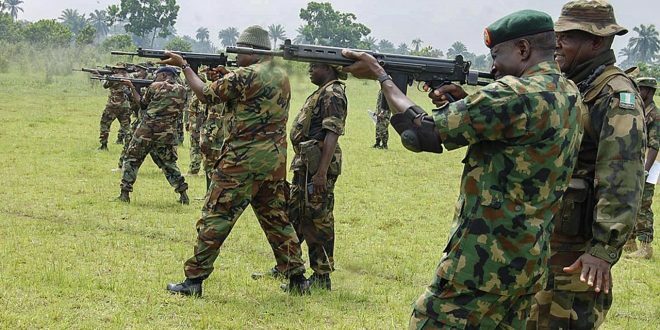 The attention of the NA has been drawn to several social media, print, electronic and online publications about the recent attack on 157 Task Force Battalion at Metele. Whilst it is true that there was an attack on the location on 18 November 2018, it has however, become necessary to correct several misinformation being circulated with regards to this unfortunate event. 2. It is important for the public to note that the NA has laid down procedures for reporting incidents that involve its personnel who fall casualty in action. Out of respect for the families of our gallant troops, the NOKs are first notified before any form of public information so as to avoid exacerbating the grief family members would bear, were they to discover such from unofficial sources. 3. Furthermore, it suffices to observe that several social media, print and online publications have been brandishing false casualty figures as well as circulating various footages of old and inaccurate BHT propaganda videos and alluding same to be the attack on 157 Task Force Battalion. Whilst it is understandable how such misinformation can spread in this era of social media frenzy, the spurious circulation of some of these videos only contribute to further propagate the propaganda intent of the terrorists; to misinform the populace and portray themselves as what they are not. So far, the situation is that the location is under control as reinforcing units have been able to repel the terrorists and stabilize the situation. 4. The NA sincerely, wishes to thank the various arms of government, MDAs and sister security agencies that have stood with her in these trying times; by commiserating with the families of the fallen heroes who have paid the supreme price for the defence of our dearly beloved country. The necessary support being given the NA by the Federal Government and the goodwill of the Nigerian populace will undoubtedly continue to spur the NA towards the ultimate defeat of the highly degraded BHTs. 5. This is for your information please.